Behavioral Intervention Group (BIG) works with physician-referred children who exhibit developmental delays as well as those already diagnosed with autism or other developmental disorders. Through our Applied Behavior Analysis therapy services, BIG can provide the skills, teaching environments, and learning opportunities necessary to improve the quality of life for these individuals. BIG offers ABA therapy services with a highly personalized approach, allowing for customization of each child's program to specifically meet his or her needs. Since autism affects every child differently, the teaching environments, methods, and strategies used in our ABA therapy programs vary depending on each child. The ABA therapists at BIG utilize a combination of the different applications of Applied Behavior Analysis in order to maximize a child’s ability and desire to learn. By providing them with the best evidence-based treatments available – designed and supervised by experienced Board Certified Behavior Analysts (BCBA) – the children referred to BIG benefit from the therapeutic and instructional components essential to setting them on the path toward a more successful future. Applied Behavior Analysis (ABA) is the process of systematically applying interventions based upon the principles of learning theory to improve socially significant behaviors to a meaningful degree (Baer, Wolf & Risley, 1968/1987; Sulzer-Azaroff & Mayer, 1991). 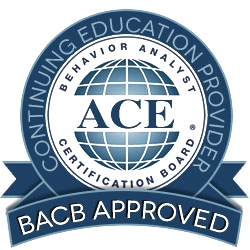 BIG follows the Comprehensive Application to Behavior Analysis to Schooling (CABAS®) methodology. CABAS® is a research-driven system-wide approach providing individualized programs for children with disabilities developed by R. Douglas Greer PhD and colleagues of Teachers College, Columbia University, New York. The CABAS® system is designed to approve desired behaviors rather than disapprove undesired behavior; and the curriculum is designed to emphasise teaching through positive reinforcement. The CABAS® approach uses the principles of positive reinforcement by identifying effective forms of reinforcement and the manipulation of intermittent and other schedules of reinforcement. The creation of learner motivation is essential to the implementation of the principles of positive reinforcement within the CABAS® system. 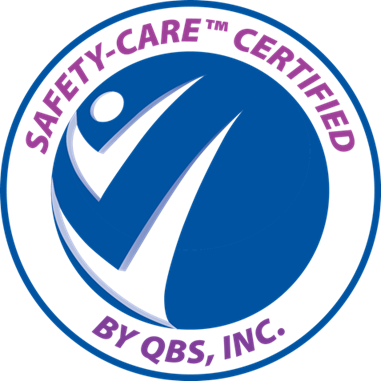 “CABAS® programs are characterized by the following components of quality: individualized instruction, continuous measurement of teaching and student responses or curriculum based assessment, graphic display of student learning and achievement of educational standards, the use of scientifically-tested tactics for instructional decision making, logically and empirically tested curricula and curricular sequences, educationally and socially significant goals of instruction, positive teaching environments where coercive procedures are avoided, and teachers who are strategic scientists of pedagogy (Greer, Keohane, & Healy, 2002). CABAS® applies the underlying principles of behavior analysis and advanced principles of teaching and verbal development to all components of education which include the role of the students, parents, teachers, school supervisors and administrators, and its board and university training program. Guided by the daily streams of data they record, teachers at CABAS® schools (and other schools that use ABA) have been able to reach children who were previously considered unreachable. "(from the Unorthodox Behaviorist) I am attaching the document. Teachers continuously measure teaching and student responses. Principles of the basic science and tactics from the applied research used to teach educationally and socially significant repertoires. Expertise in the science is used to make moment to moment decisions based on the continuous collection of data and its visual inspection. Progress of students is always available for view. (Greer, 2002)"